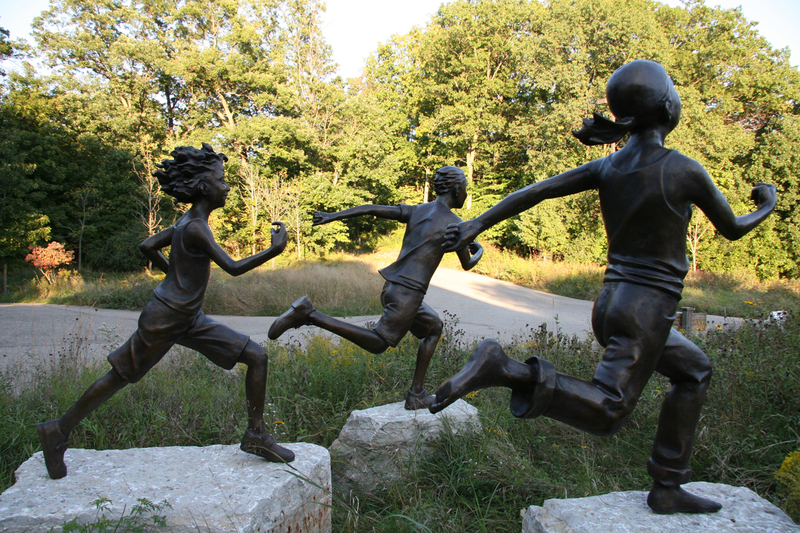 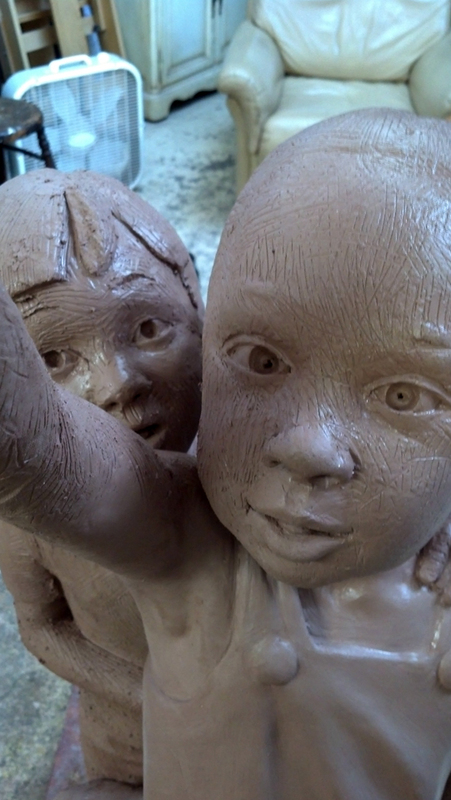 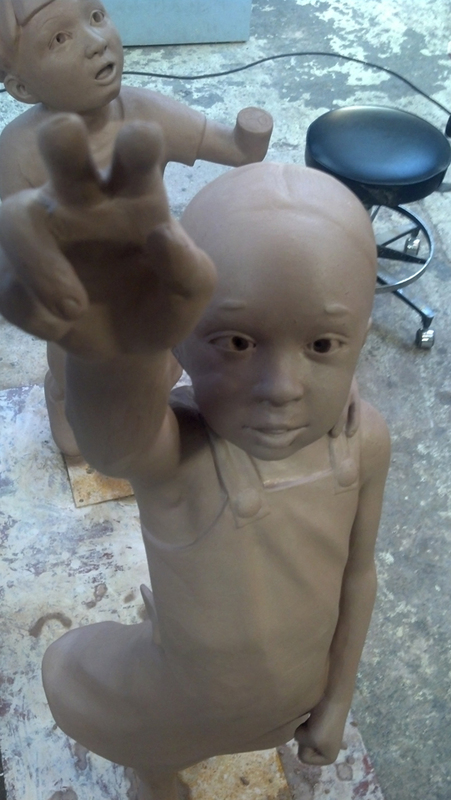 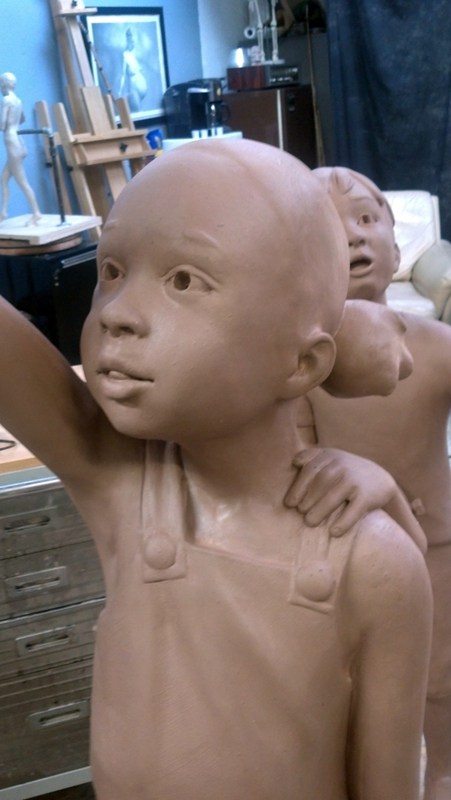 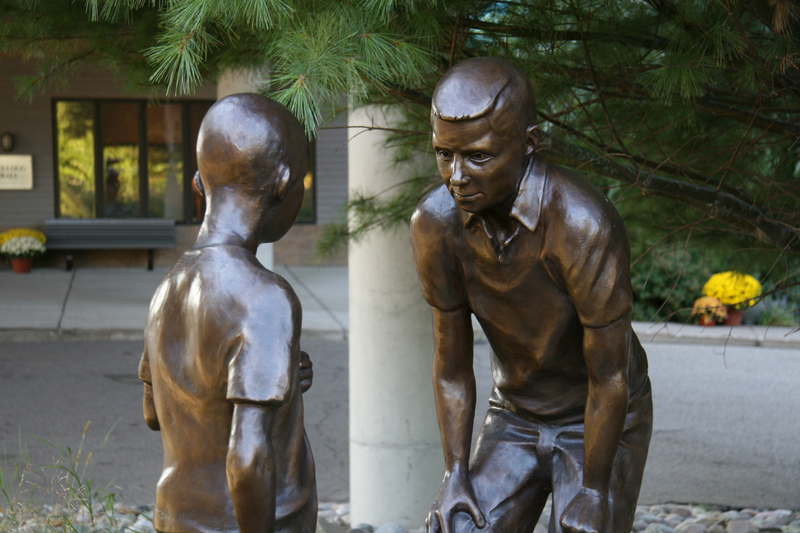 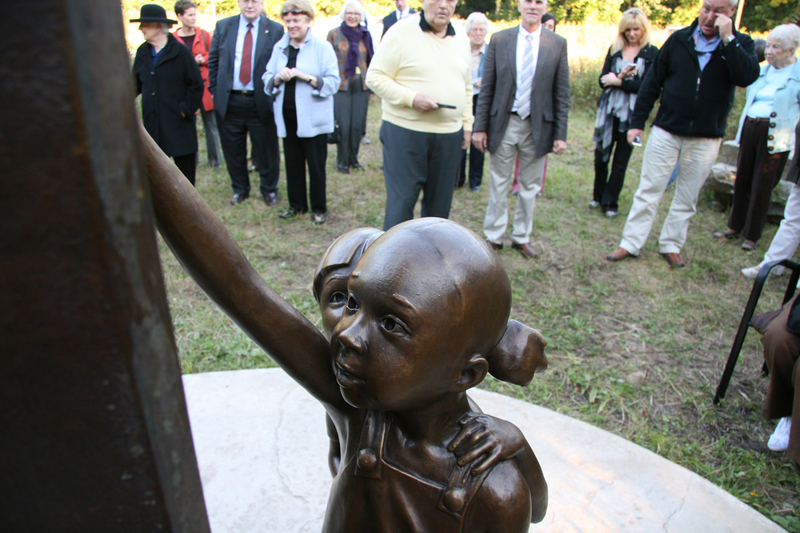 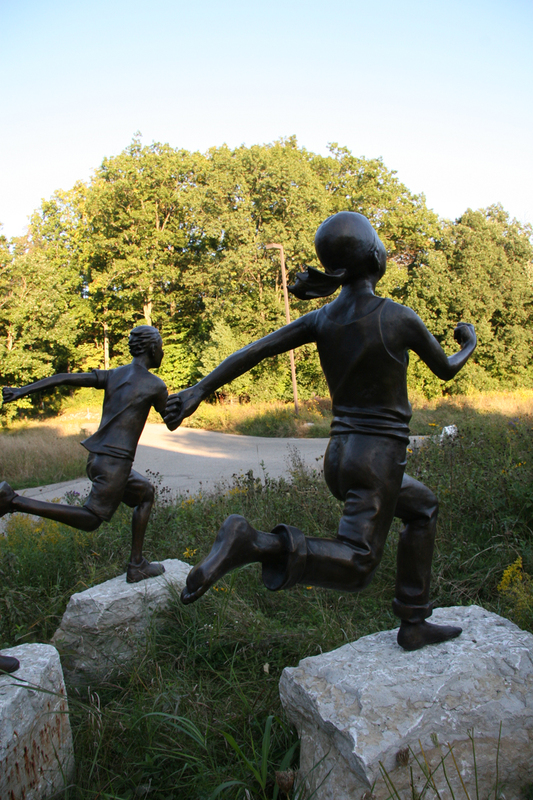 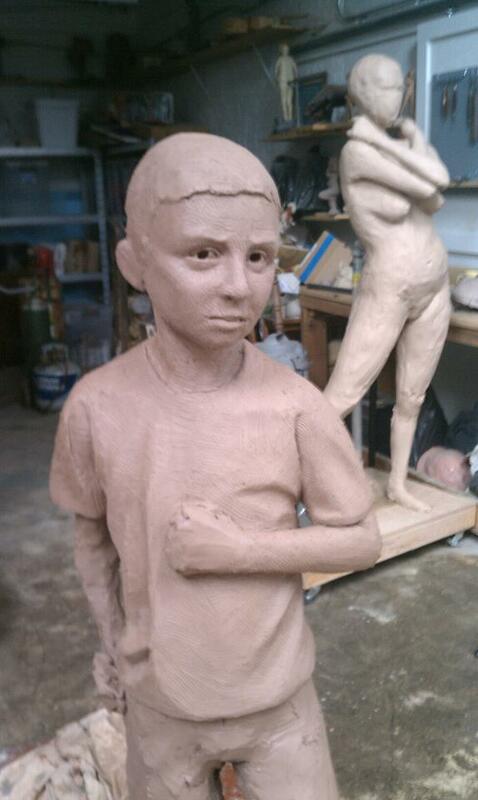 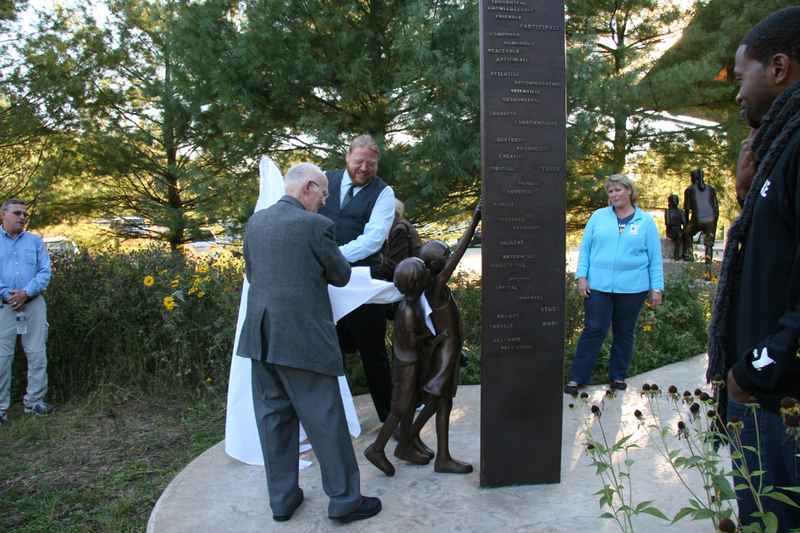 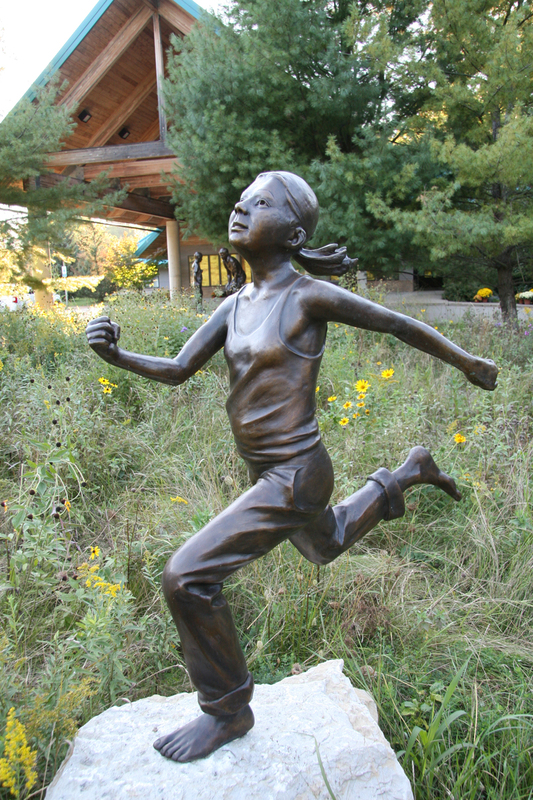 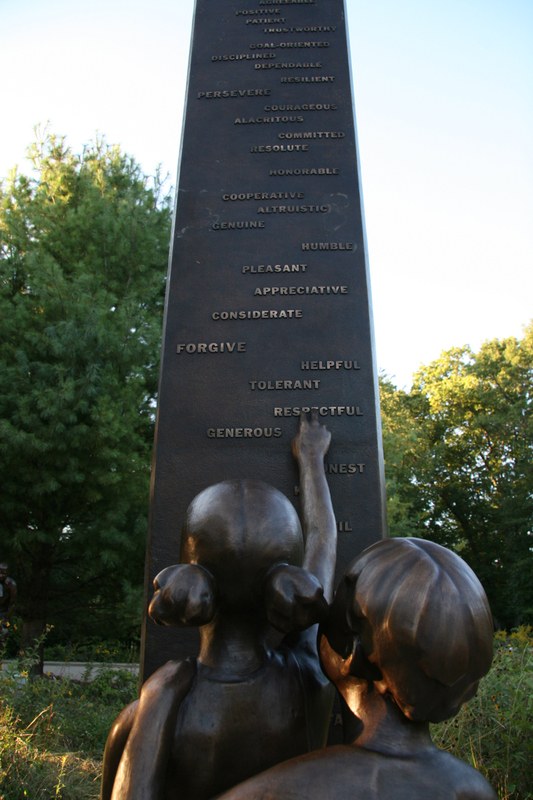 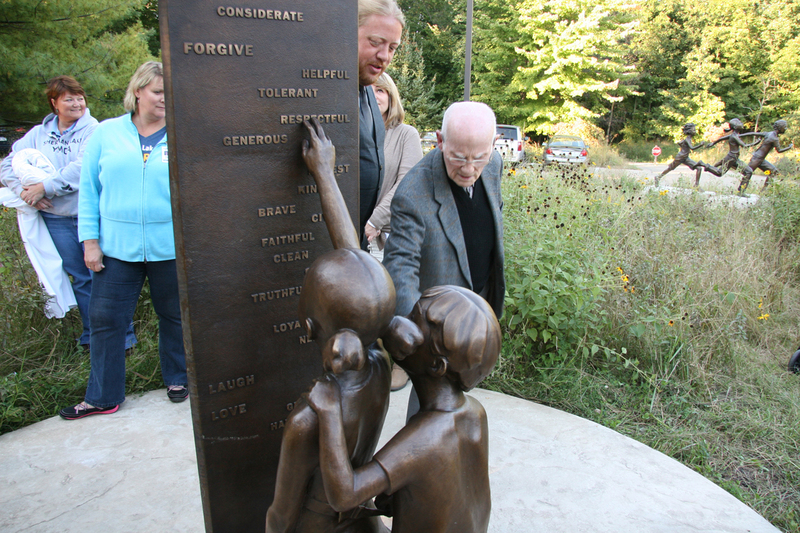 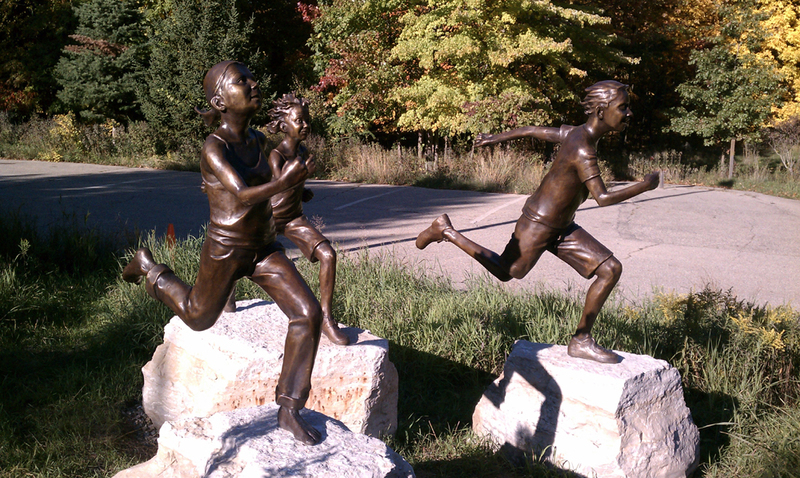 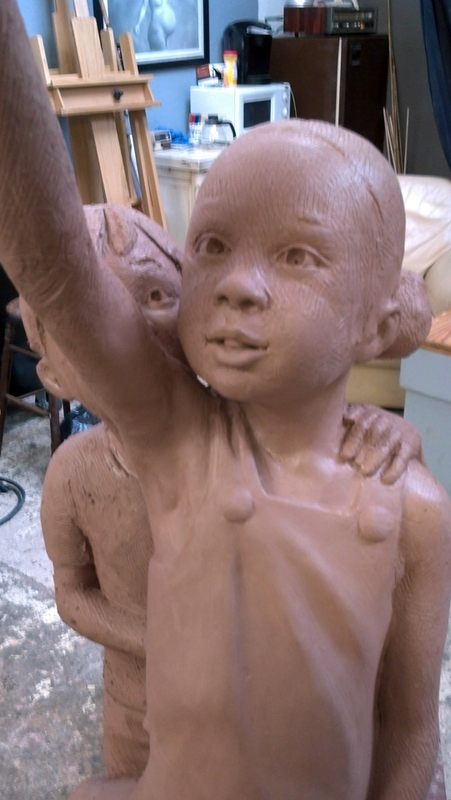 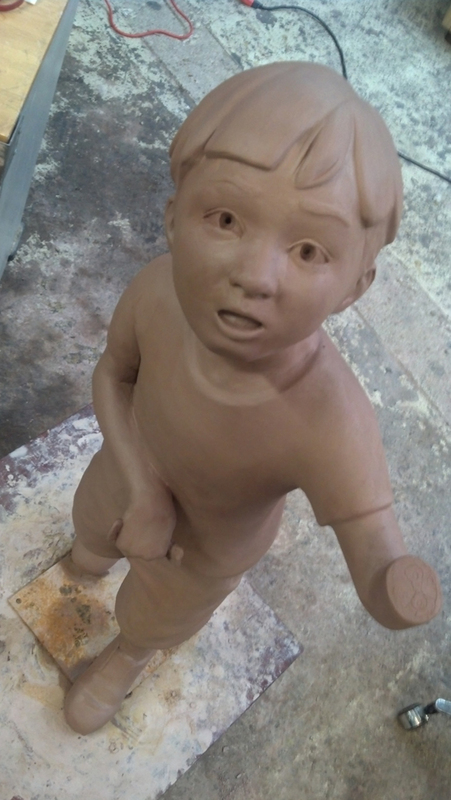 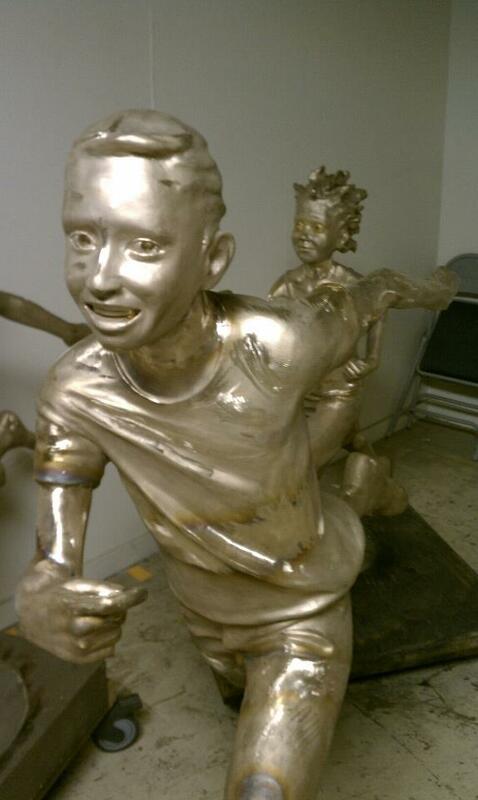 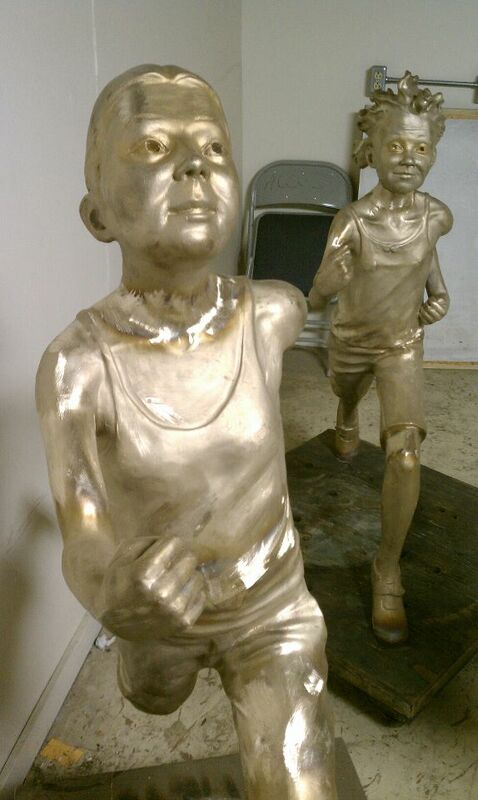 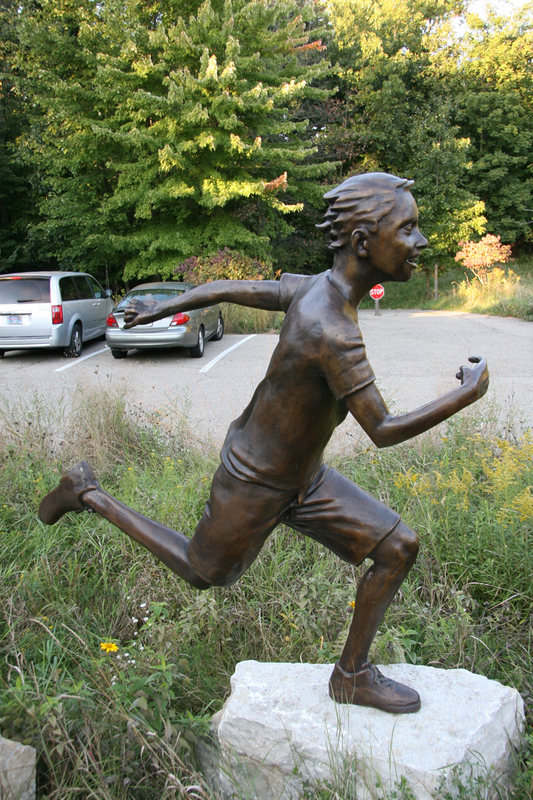 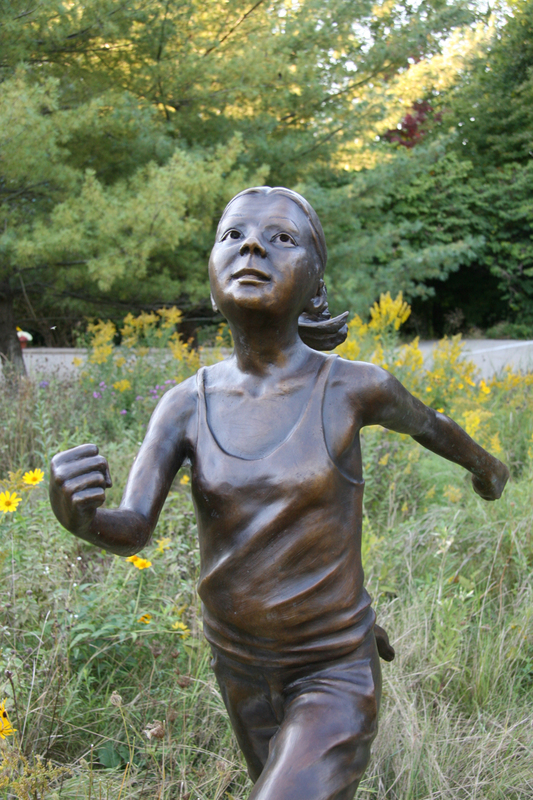 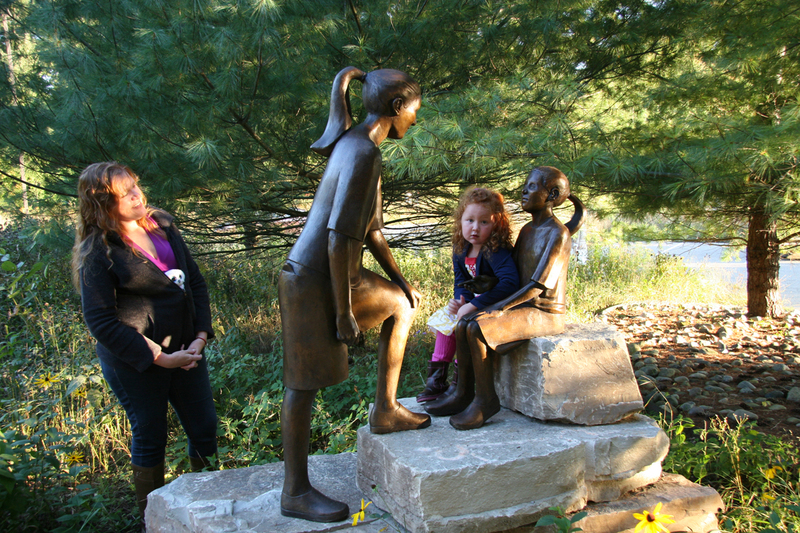 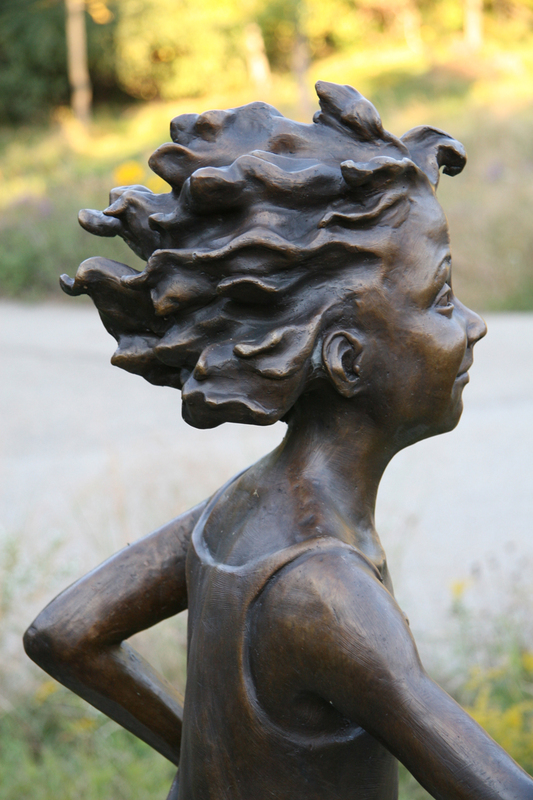 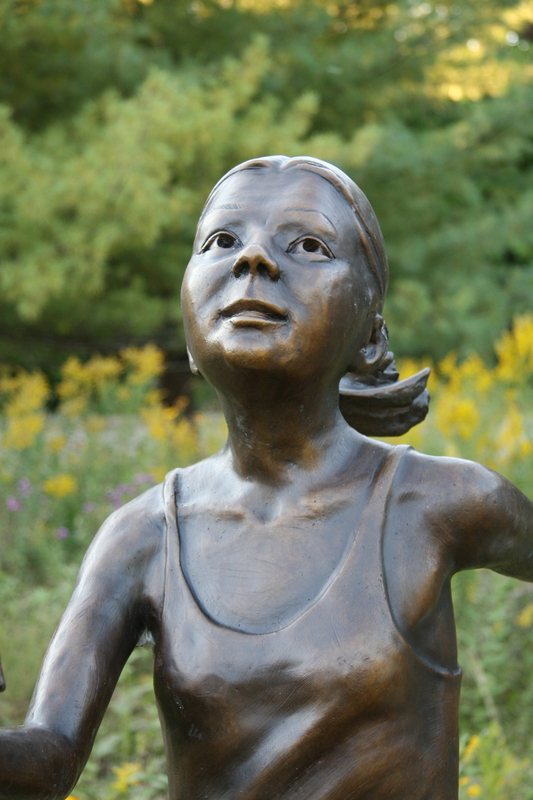 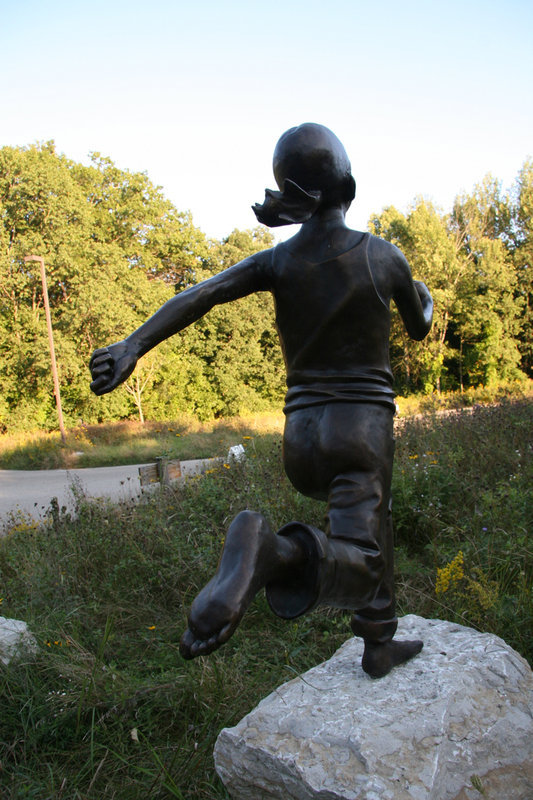 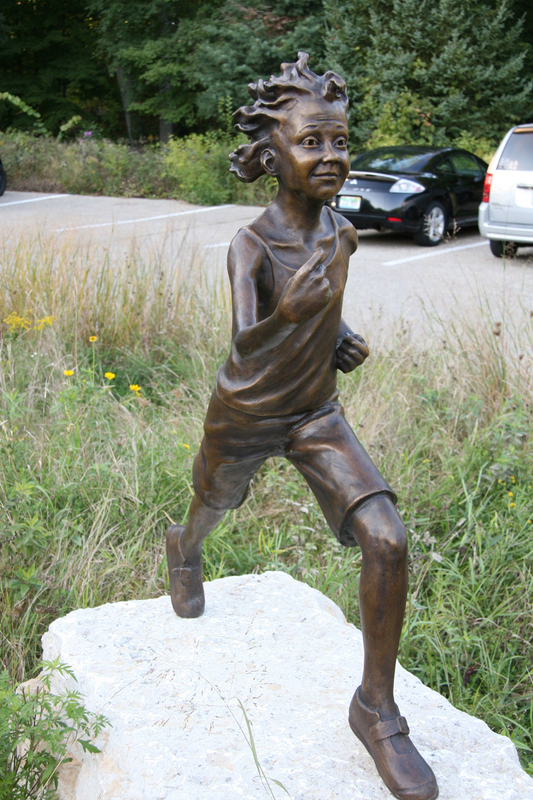 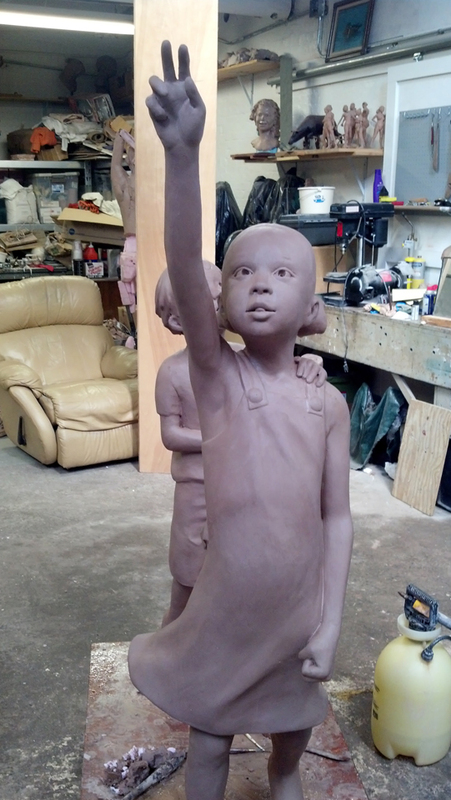 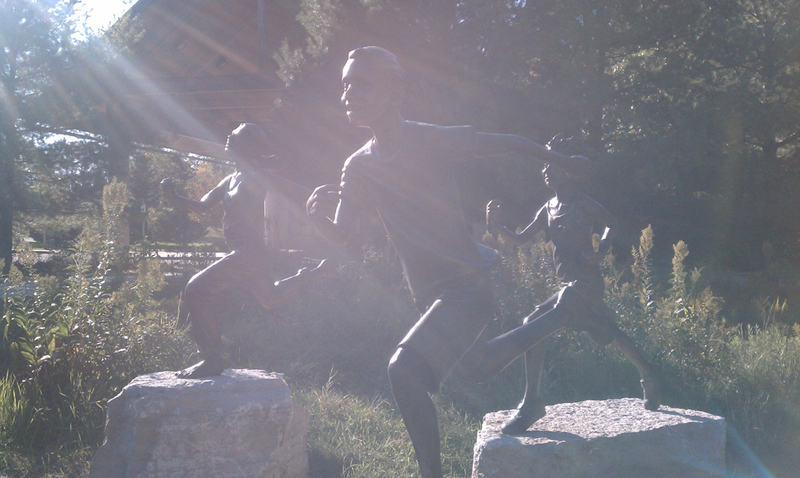 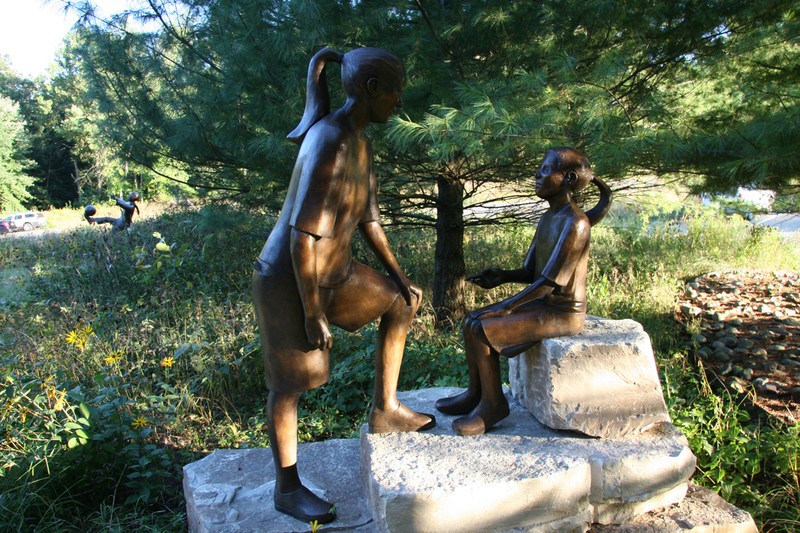 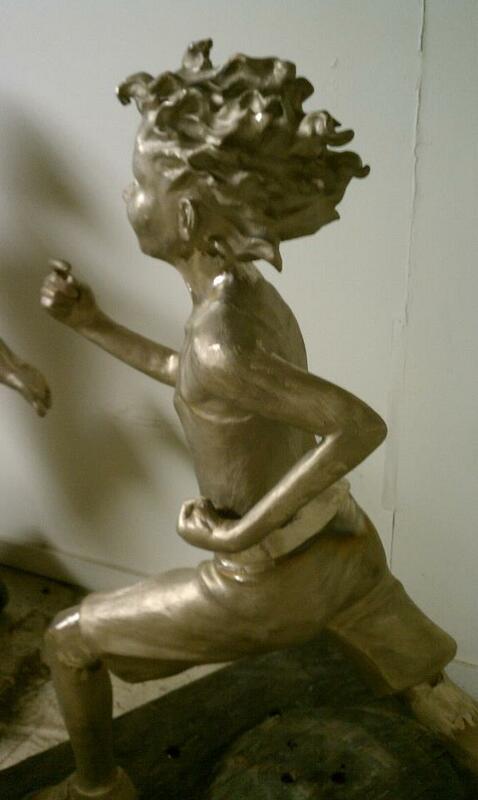 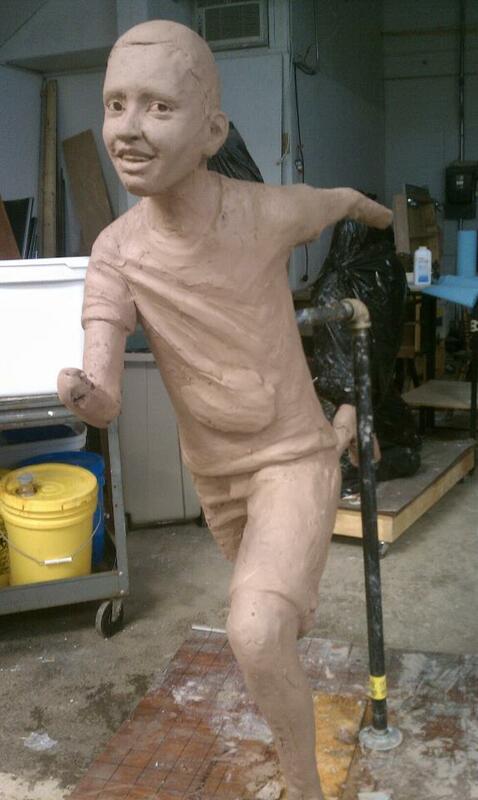 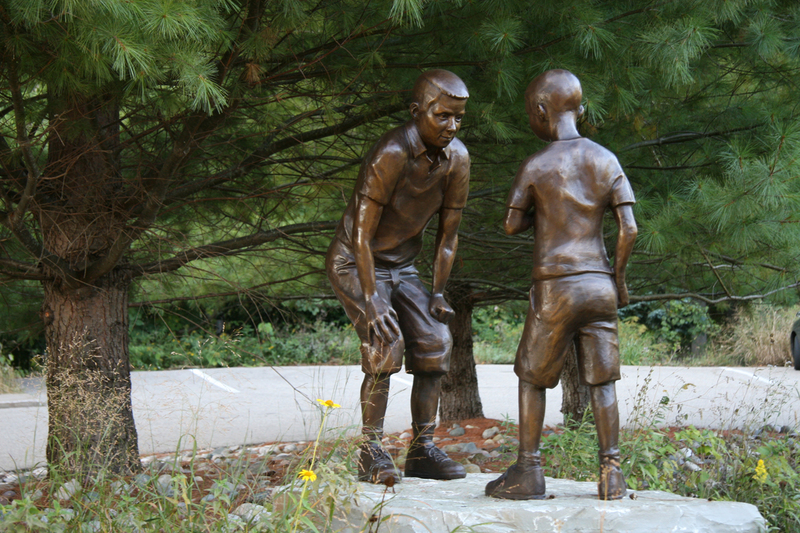 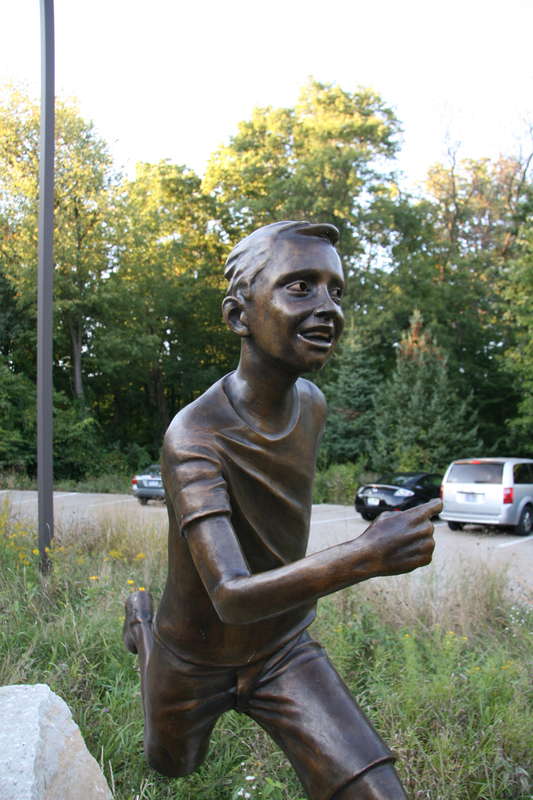 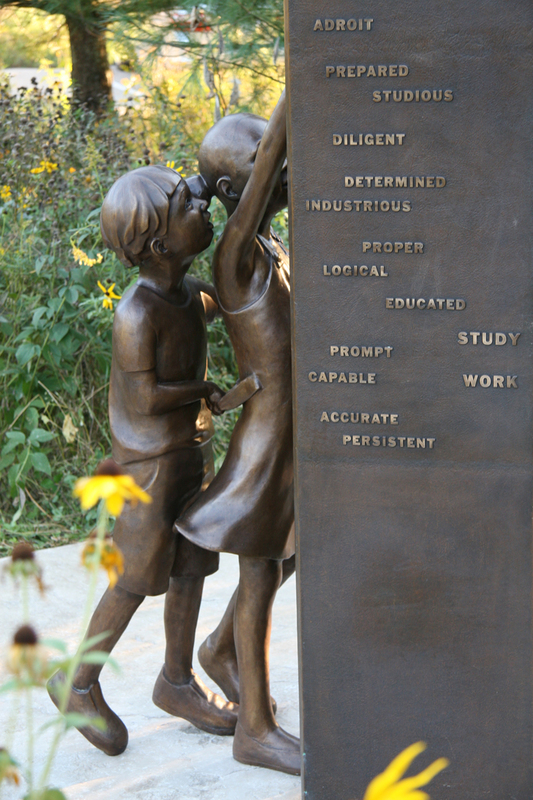 The Children of Sherman Lake were designed by sculptor Kirk Newman, who also executed three of the figures. 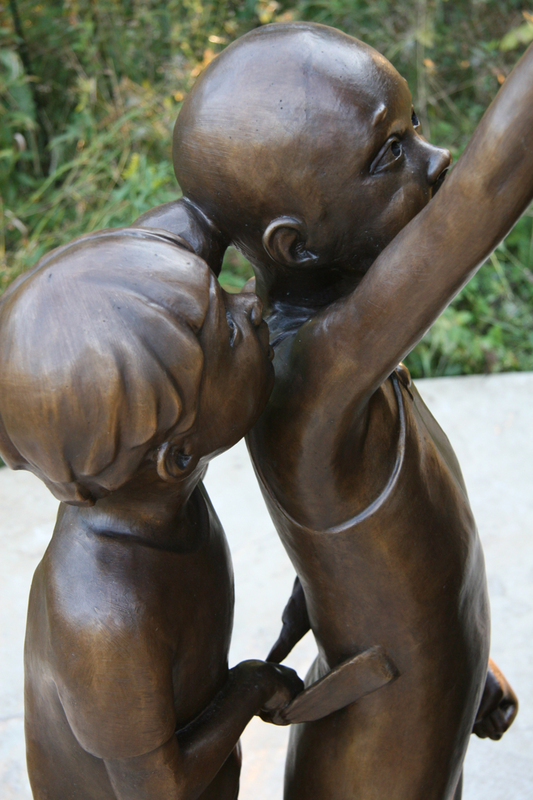 Joshua Diedrich collaborated with Newman to execute the other seven and design the final two. 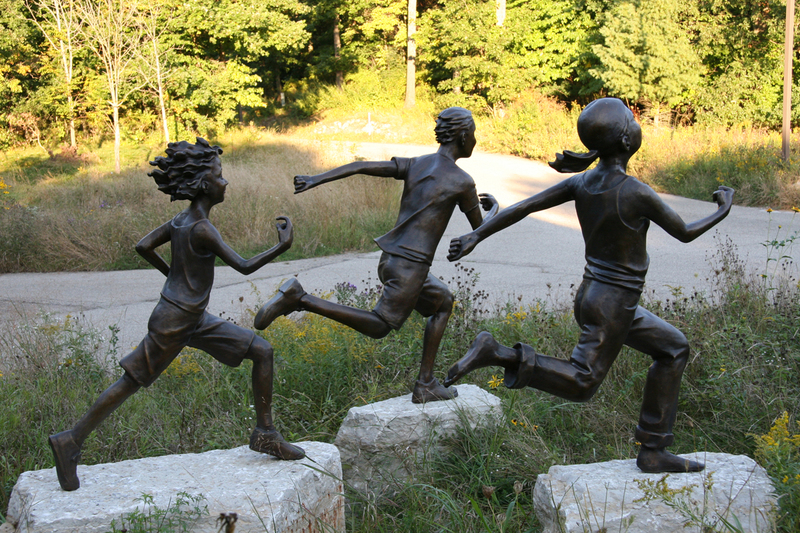 Sherman Lake is a YMCA camp near Battle Creek Michigan that hosts over 5000 young campers every year. 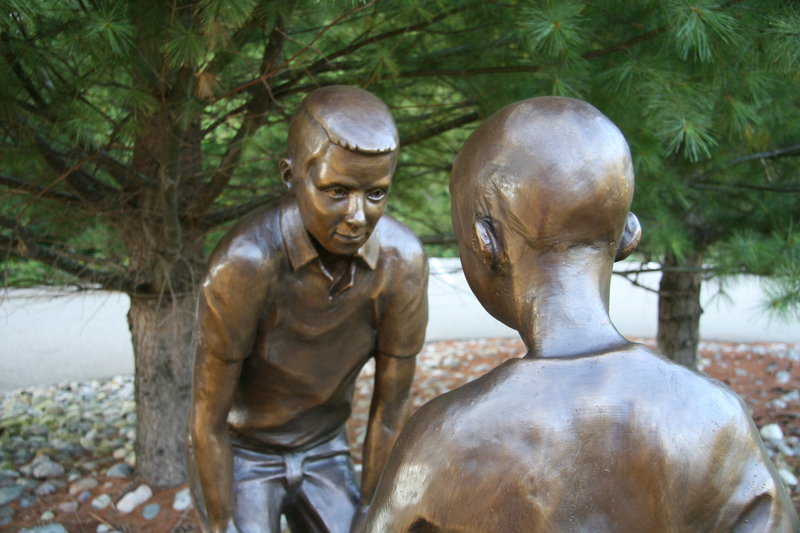 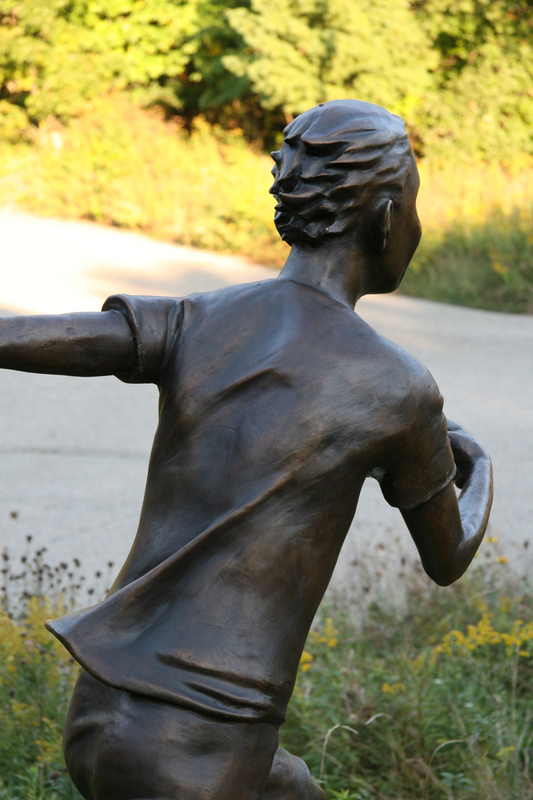 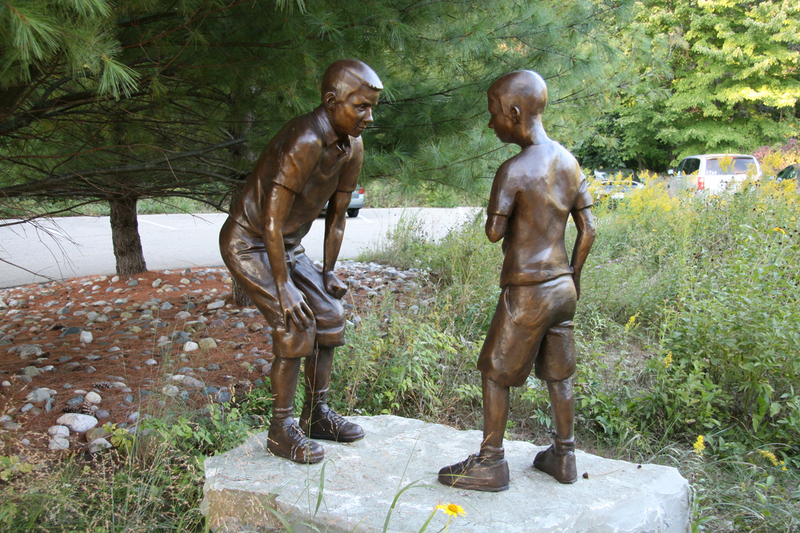 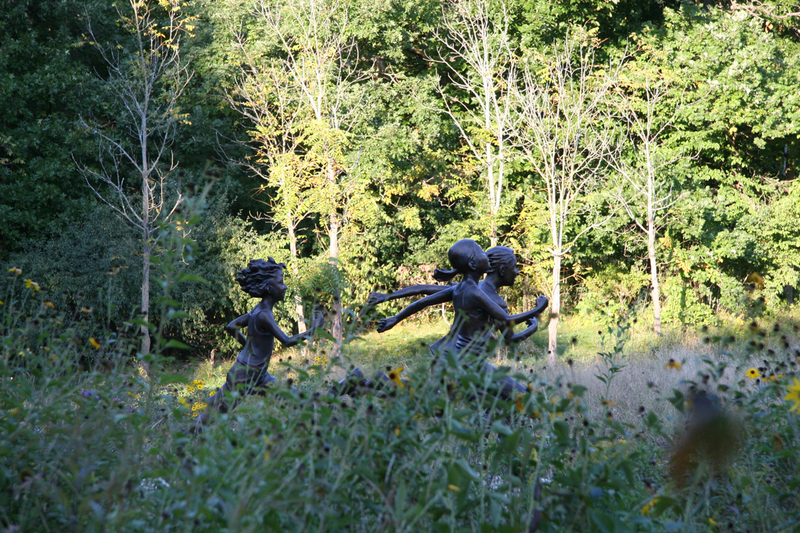 The bronze figures rise out of the tall grass in a field in front of the main lodge and are one of the first things anyone will see when entering the property. 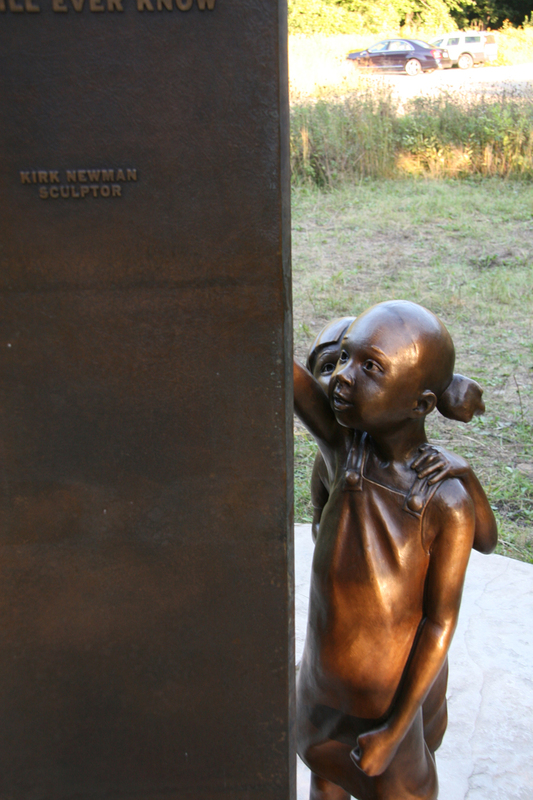 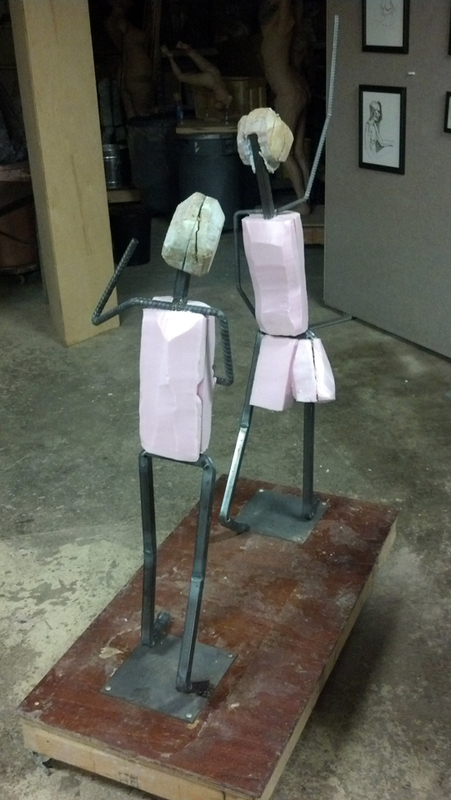 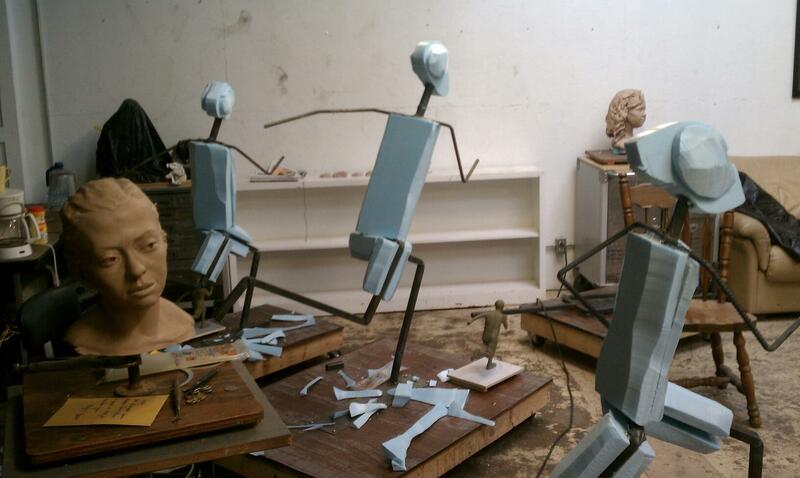 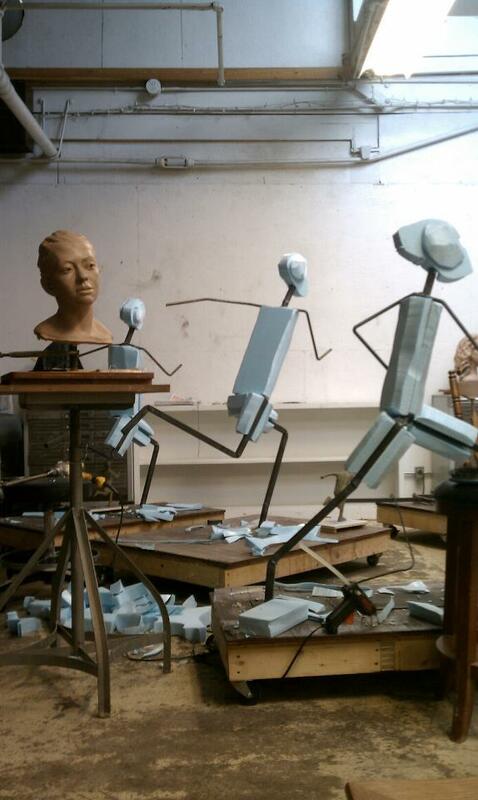 Kirk Newman had already executed several small models for the installation at Sherman Lake and his studio had nearly executed three of the ten figures, when health and family issues made it difficult for him to consider completing the commission on his own. 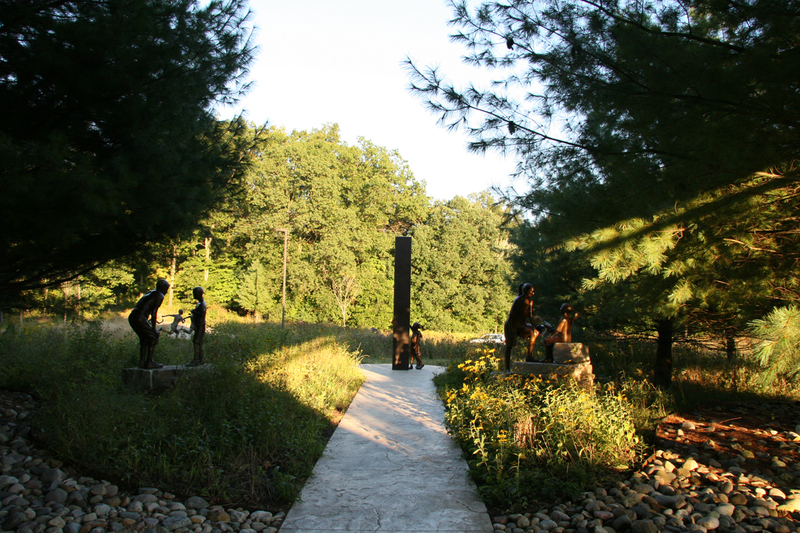 He approached Joshua at first with the idea of him designing a new installation and passing the project off completely, but after negotiations with the client, it was decided that Kirk’s design would stay, but be executed and completed in Diedrich’s studio. 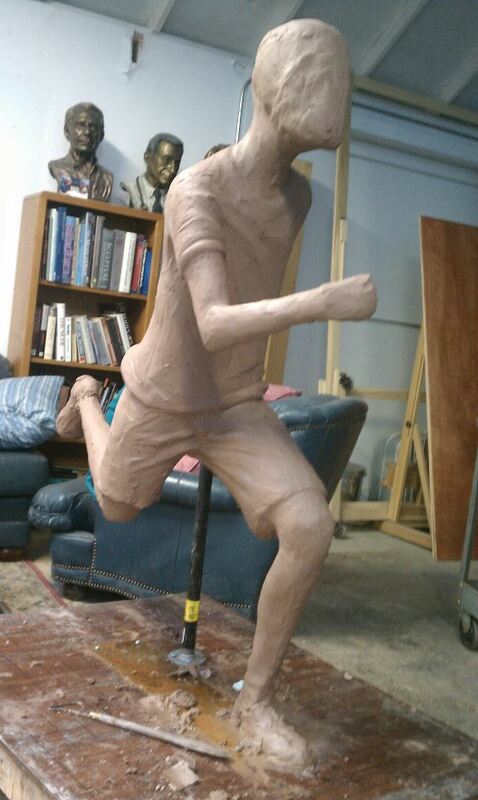 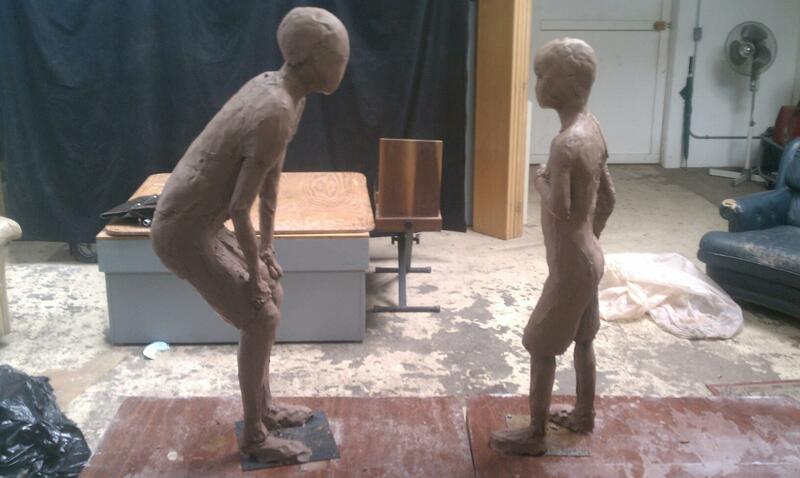 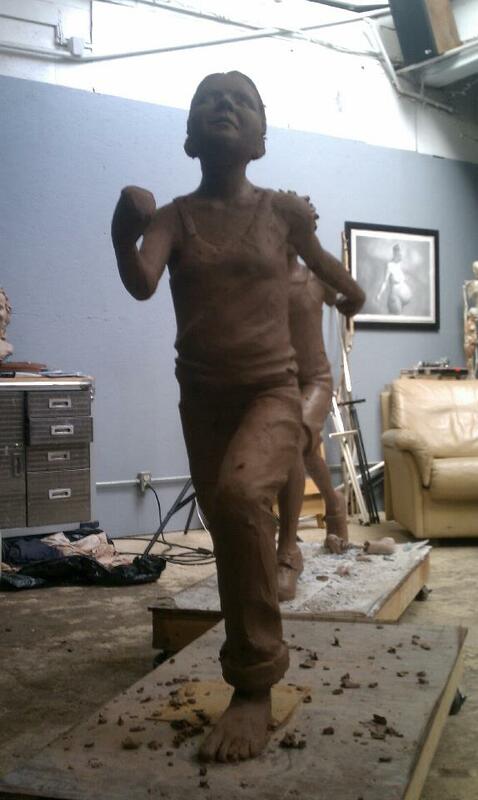 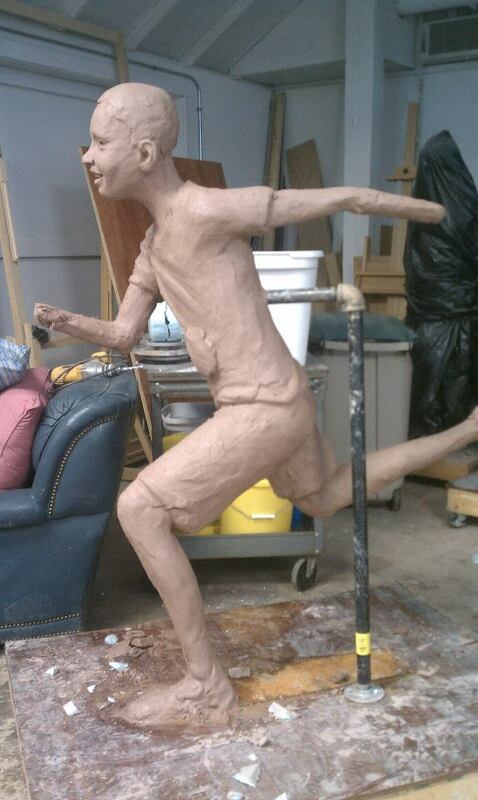 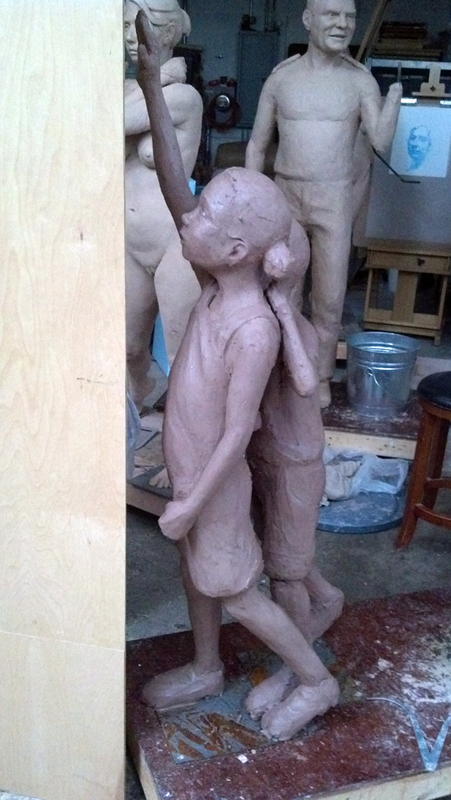 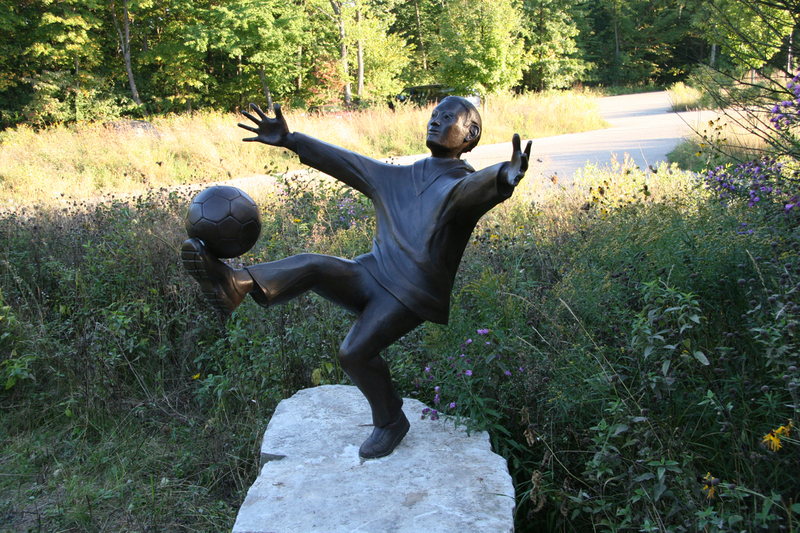 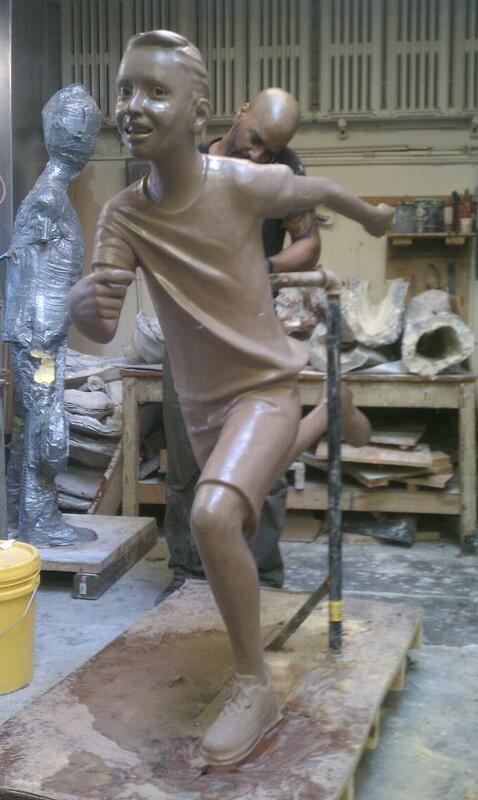 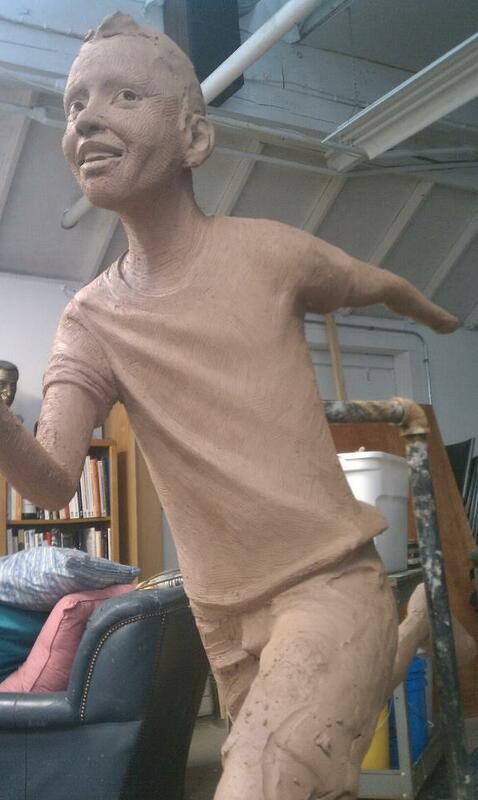 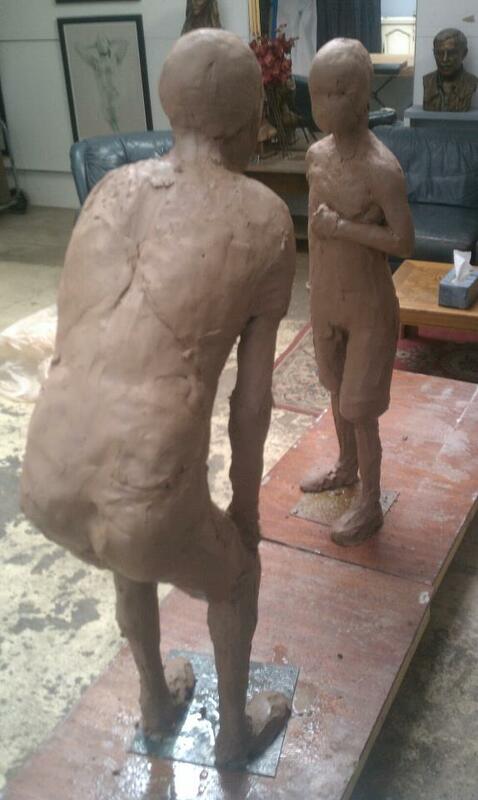 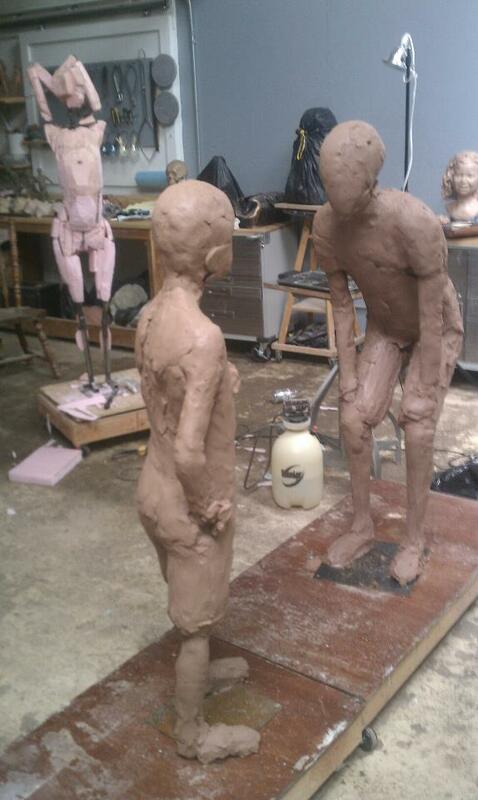 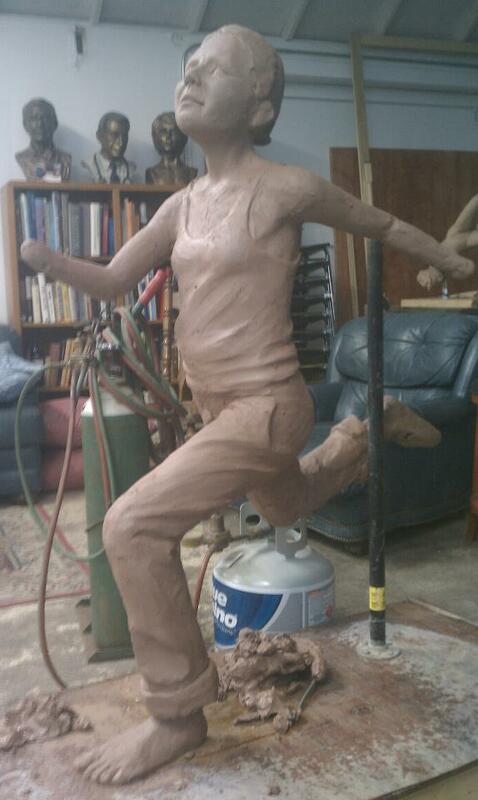 Newman’s studio had already completed a figure of a boy kicking a ball, and nearly completed the two girls in conversation in plaster, except the face on the large girl which was repaired and finished by Diedrich. 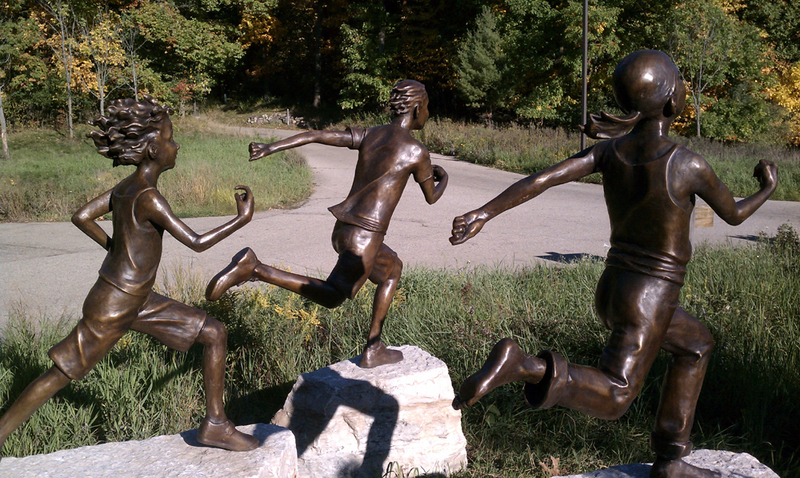 The three running children and the pair of boys in conversation are Diedrich’s interpretation of Newman’s small models. 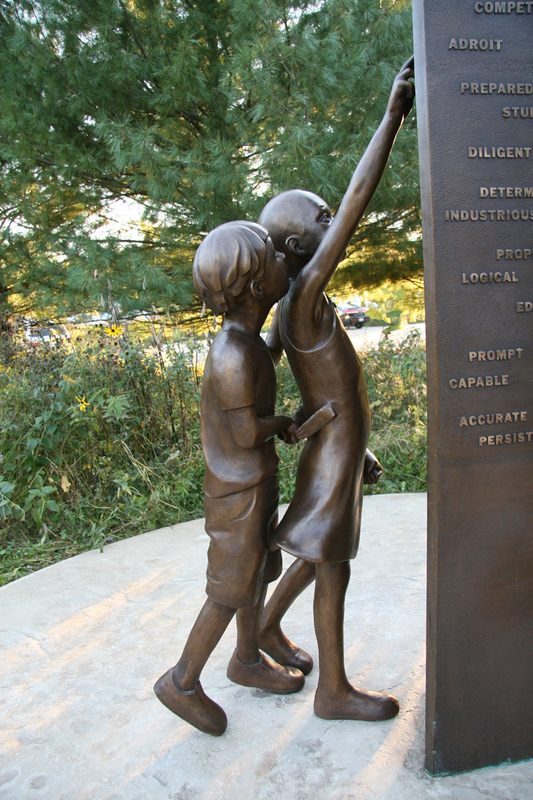 The two final figures reaching up to the central stele are entirely Diedrich’s work and design. 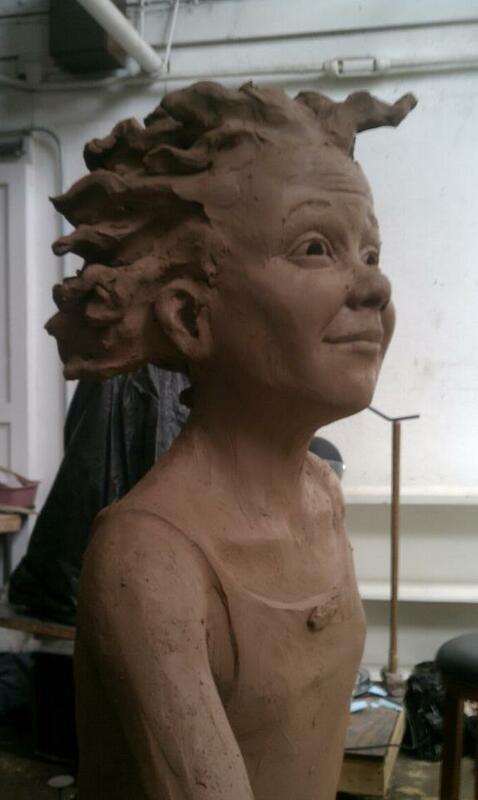 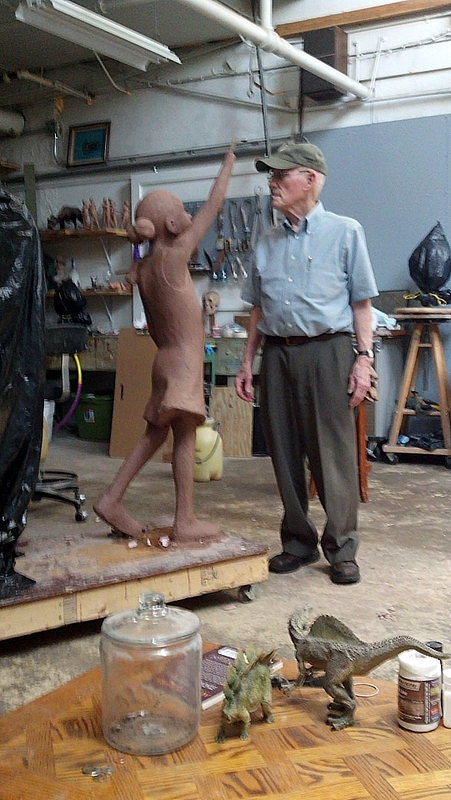 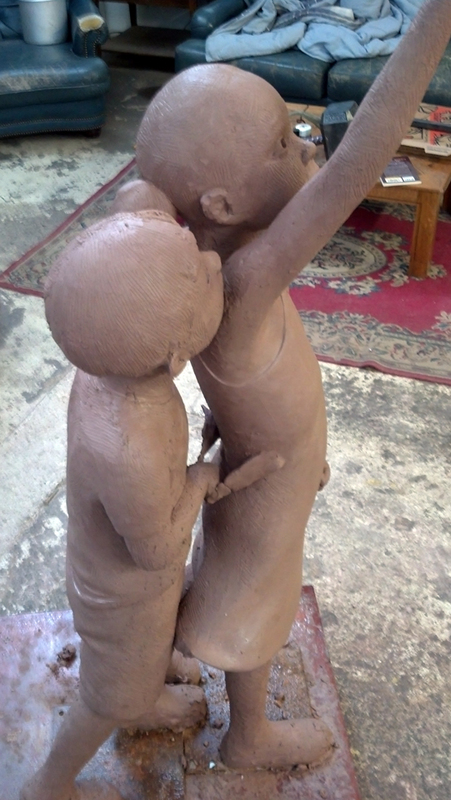 Diedrich’s figures were sculpted in a smooth water-based clay with Newman’s input and approval. 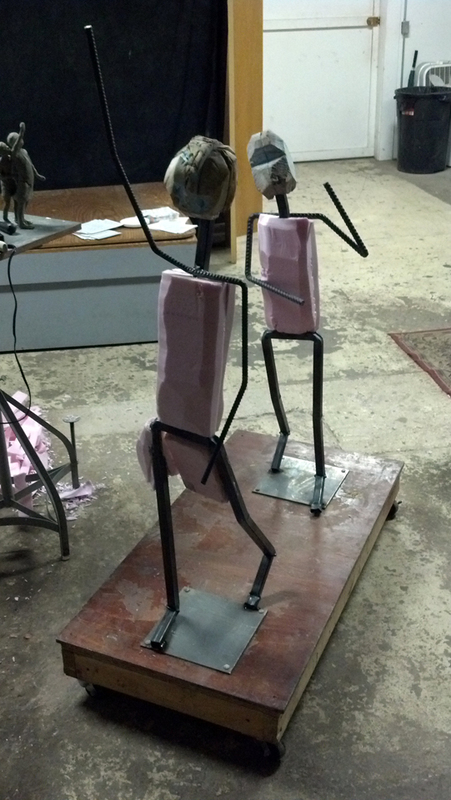 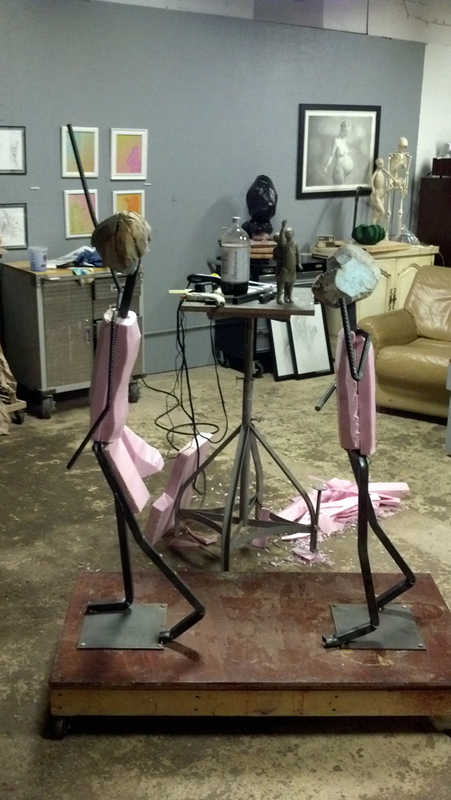 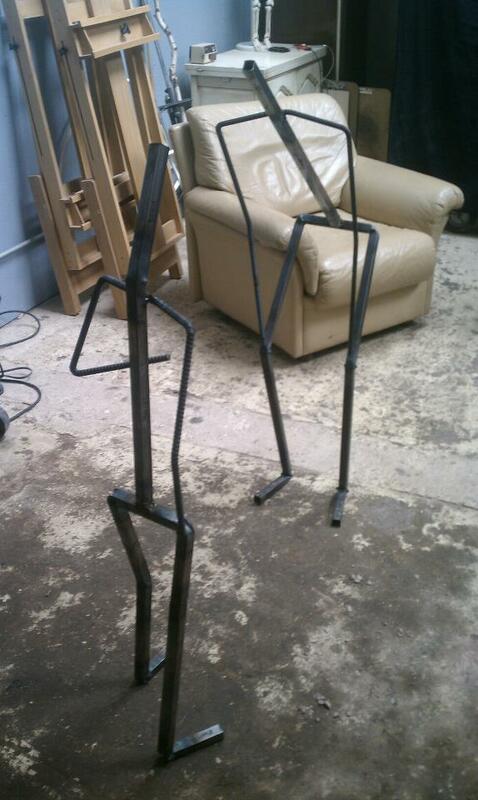 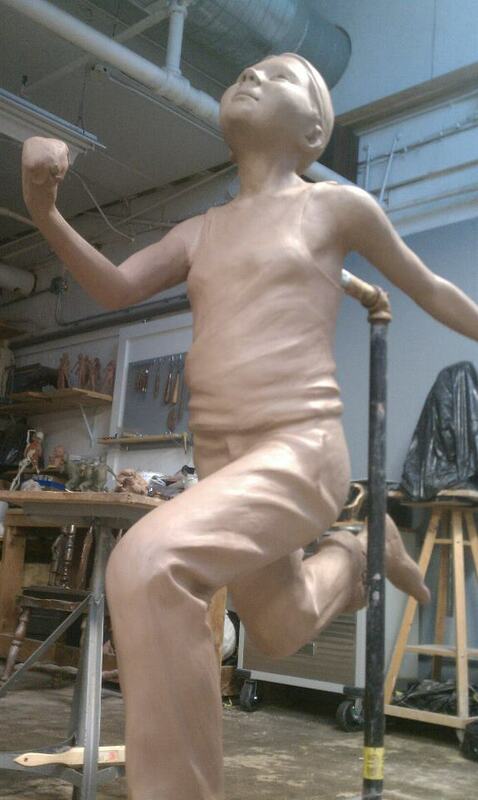 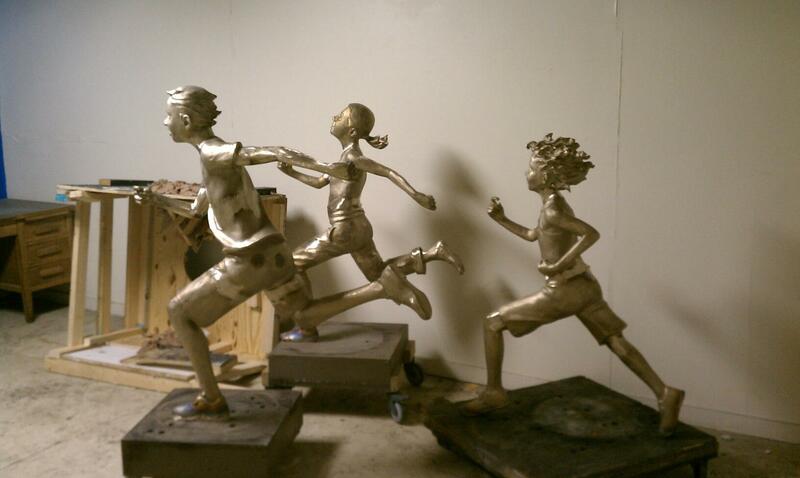 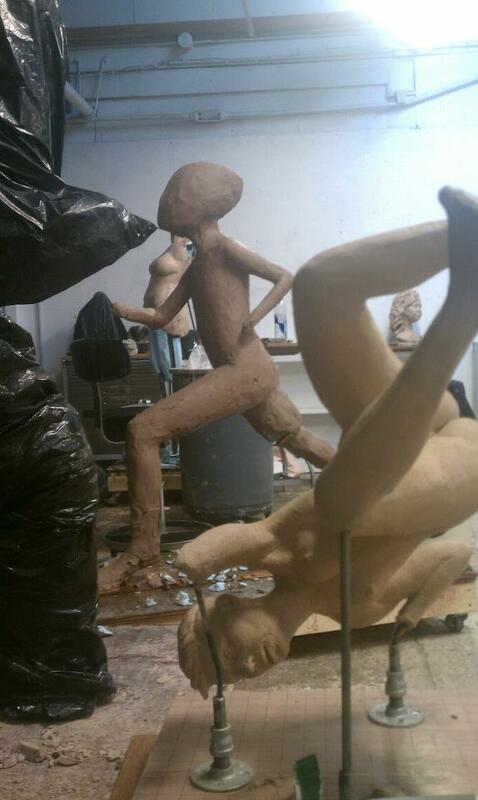 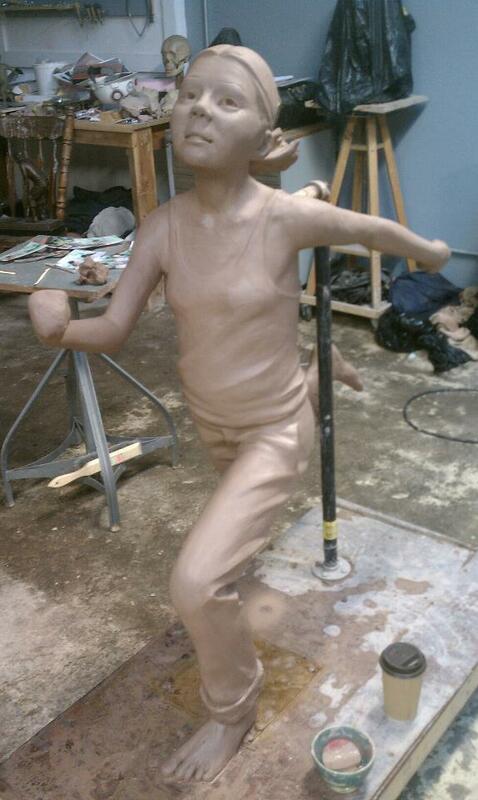 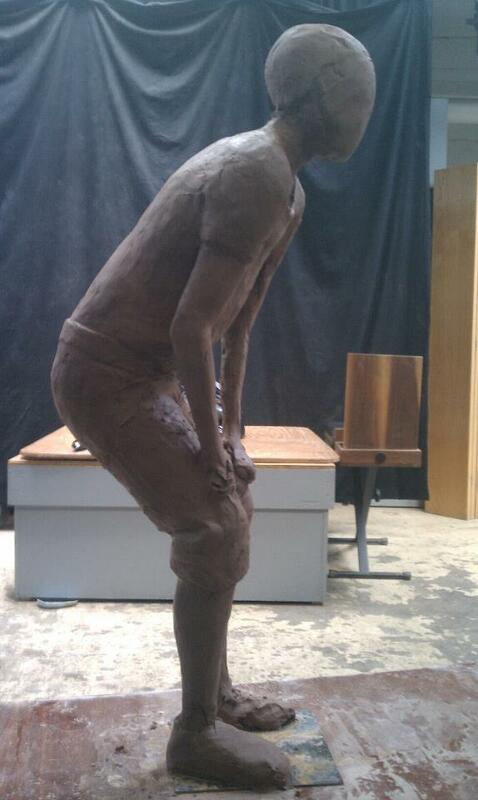 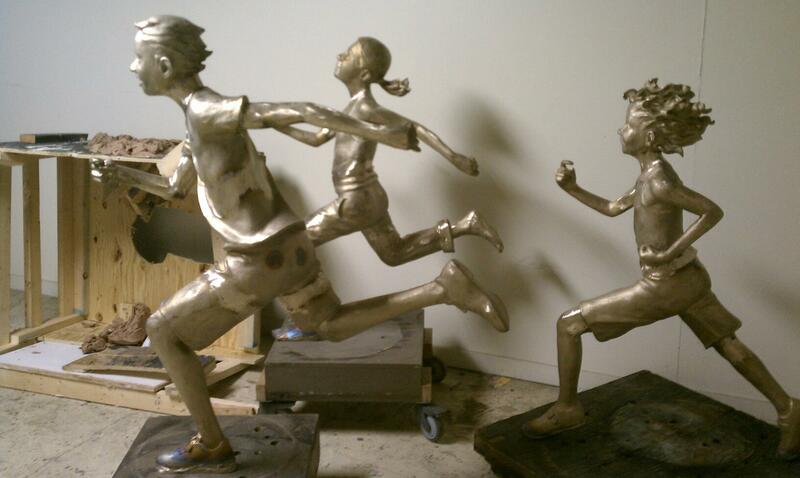 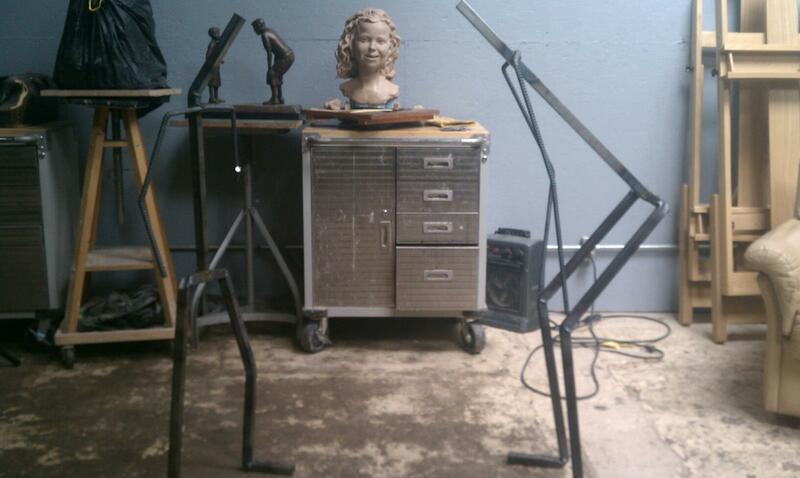 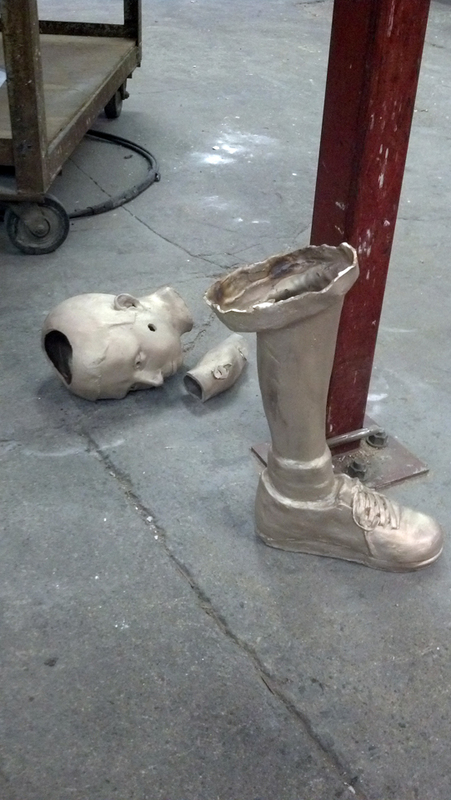 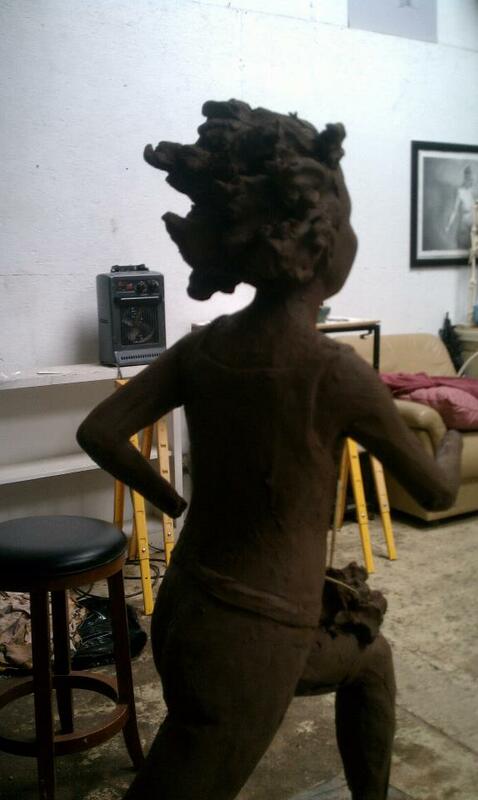 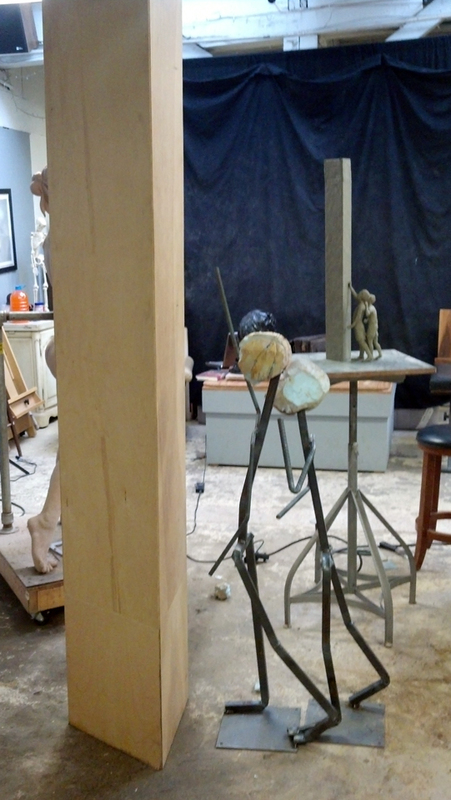 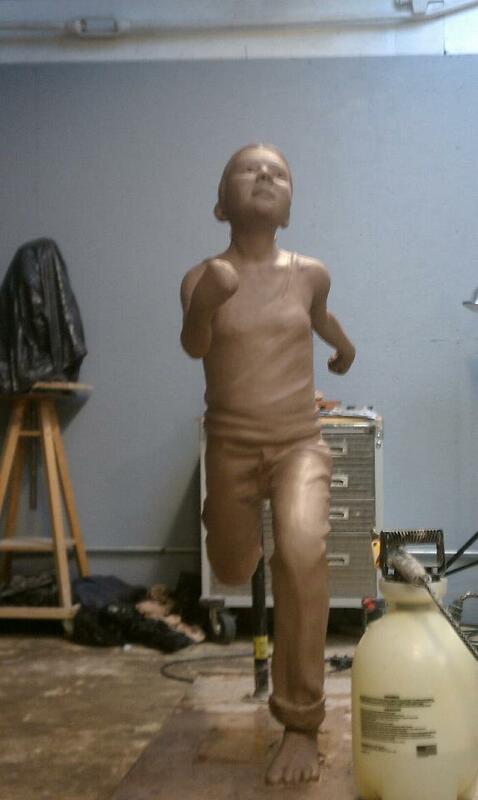 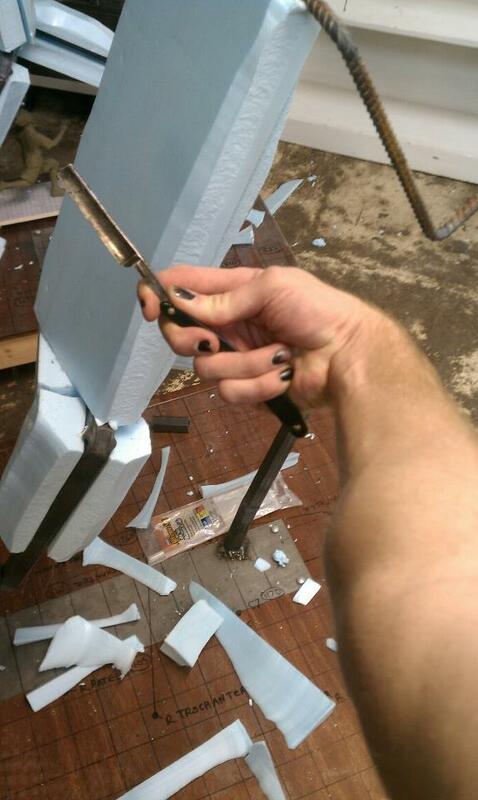 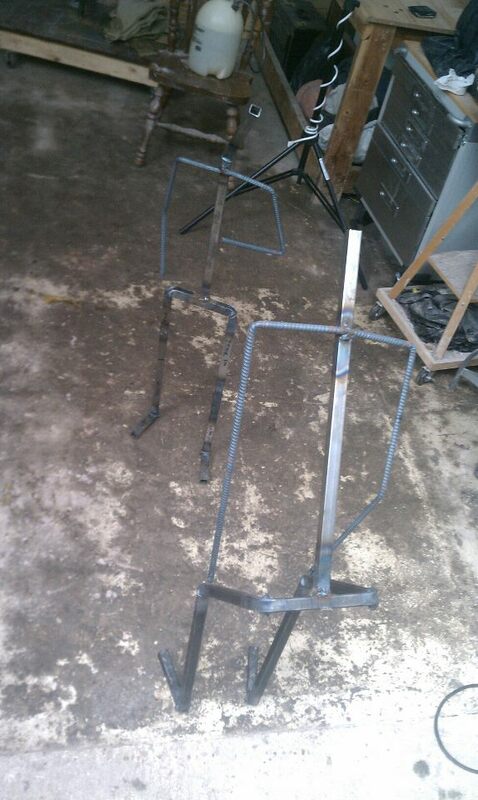 Molds were pulled and used to cast the pieces in bronze before their installation on site.